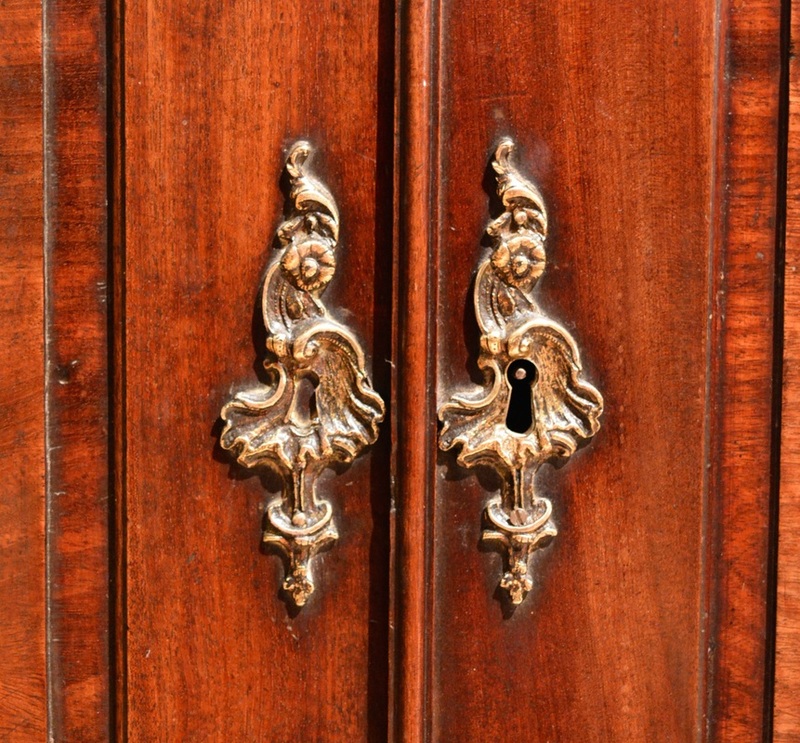 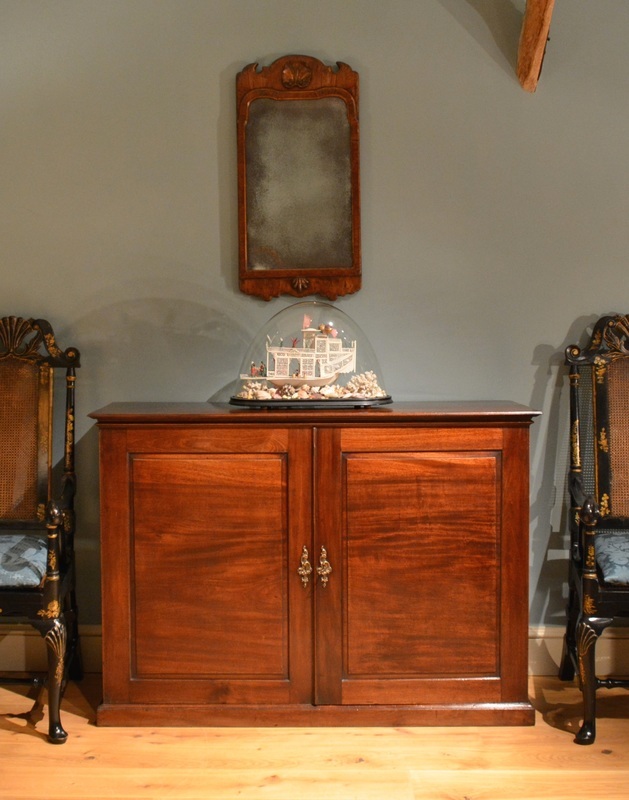 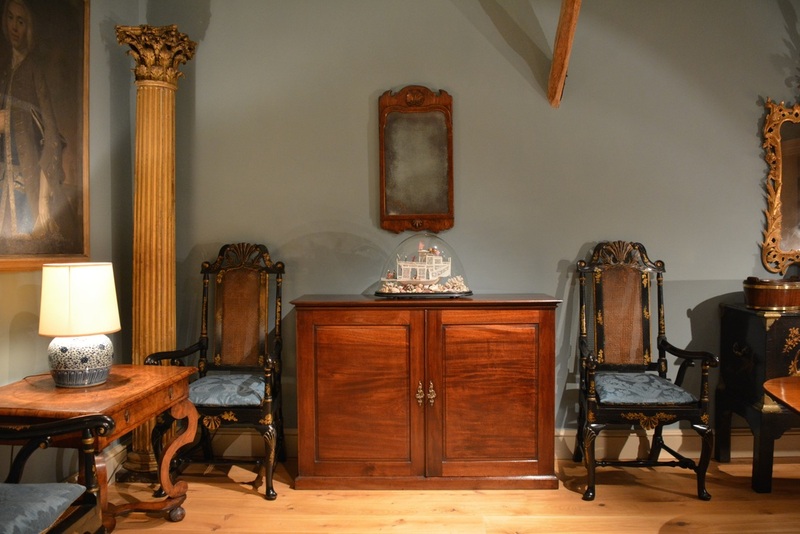 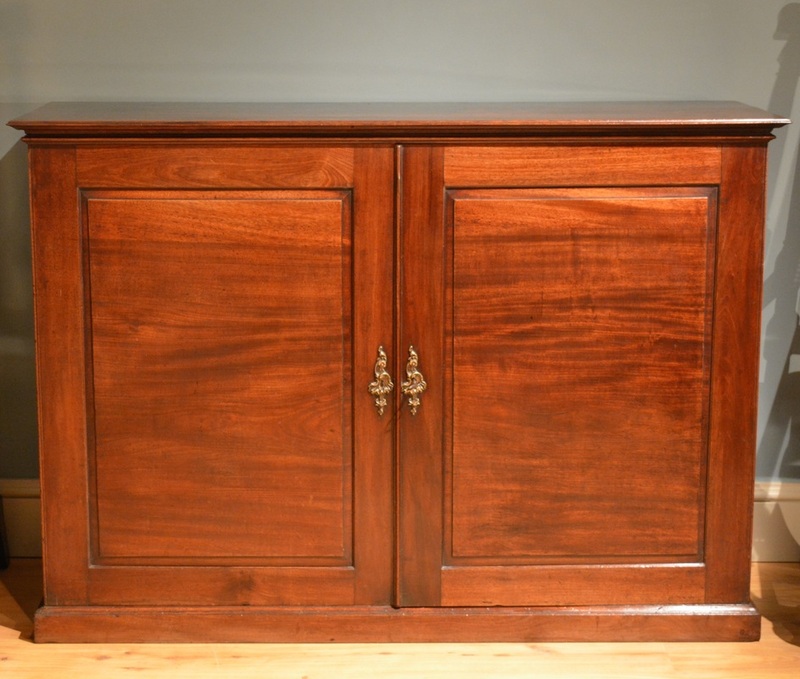 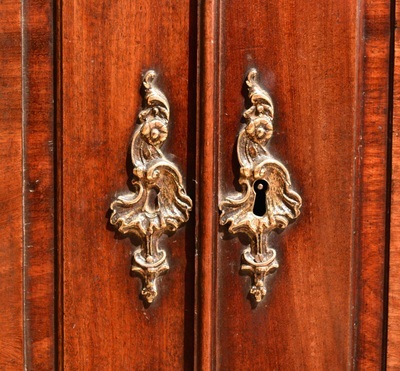 A George III mahogany low two door side cabinet, the fielded panel doors having their original Rococo escutcheons, the top and base moulds finely shaped standing on a plinth, the interior containing two adjustable shelves. 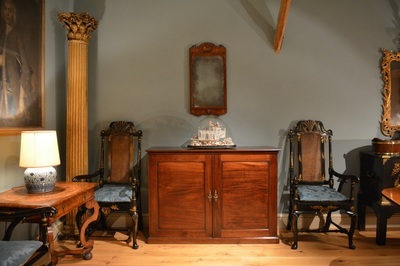 This piece has particularly good colour and patination. Height 38.5" Width 55.5" Depth 18"